Internet kill switch: Government might have to disclose its Standard Operating Procedure 303 policy. 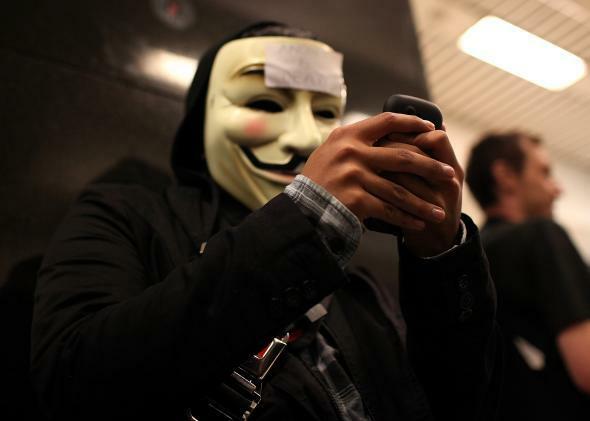 In 2011, one week after BART officials turned off cellphone service in its stations during a protest, Anonymous showed up. A recent legal victory by the Electronic Privacy Information Center, where I work, may soon shed light on a secret policy governing the shutdown of private wireless networks. The protocol, known as Standard Operating Procedure 303 or the Internet “kill switch,” sets out the government’s policy for initiating citywide deactivation of all wireless communications networks. The Department of Homeland Security created the policy in 2006. We’re all familiar with the role wireless networks play in our lives. They allow us to make phone calls, send text messages, organize political protests, and watch watercolor re-creations of Blade Runner. Because cutting off communications imposes a prior restraint on speech, the First Amendment imposes the strictest of limitations. In particular, after deactivation, the government would have to prove that restrained speech is unprotected and make sure a court promptly reviews the shutdown. In limited situations, there might be legitimate reasons for shutting down wireless networks. But the potential for abuse is obvious. Repressive governments have repeatedly cut off wireless service to stop protesters from organizing. In the United States, Bay Area Rapid Transit (BART) deactivated cellphone service in several subway stations in 2011 to prevent a protest over the fatal shooting of Charles Blair Hill by BART police. How do we know that DHS is following the First Amendment or considering these important interests adequately? We don’t. While the BART has released a short cell service interruption policy, DHS has said nothing about its deactivation policy apart from a single paragraph in an old report. That may soon change. Earlier this year, EPIC filed a lawsuit under the Freedom of Information Act seeking the release of the shutdown policy, and recently, a federal judge ruled that DHS may no longer withhold the details of the policy. The order has been stayed for 60 days to give the agency the chance to appeal, but the ruling is an important development for government accountability and free speech, and gives us the best chance yet of understanding this secret protocol.